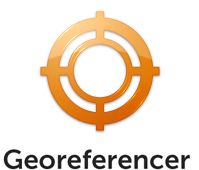 Georeferencer is a collaborative research and education platform which allows annotation and personalization of historical map collections available on the web. It is able to turn scanned images into true maps. This online tool allows visual integration of historical map layers and overlaying these on top of aerial imagery and modern base maps. It is also possible to find maps processed by Georeferencer and covering a particular area of interest within different online map collections at http://www.oldmapsonline.org/. A new version of is under active development. See the roadmap for more info. If you want to be informed about the progress, receive new announcements via email and discuss the service with developers or other users then join our User Group.